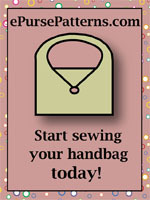 This is 4 great tote bag patterns in one! Patterns include the Run About (15" x 10" x 5"), The Creative Carryall (13" x 22" x 6"), the Personal Portfolio (13" x 12" x 5"), and the Terrific Travel Tote (18" x 16" x 6"). 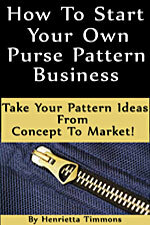 Some of these patterns include options for inner zippered pockets, coin purses, and patchwork. Fabric and material amounts vary for each bag and range from 1 3/8 yd of 54" to 60" fabric for the Creative Carryall to 1 1/8 yd for the Run About, the Terrific Travel Tote, and the Personal Portfolio. 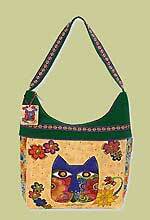 Zippers needed are 7" for a change purse to 18" for a large inner pocket. Webbing is also required with a maximum of 4 yds. 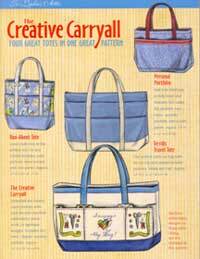 for the Creative Carryall.